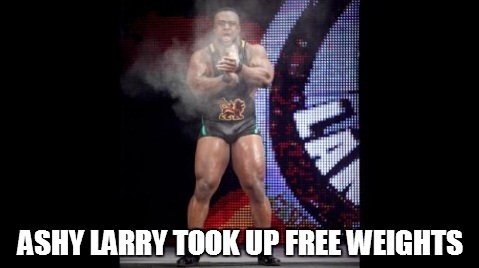 The Meme Event: WWE Monday Night Raw 11/11/13 - WrestleCrap - The Very Worst of Pro Wrestling! 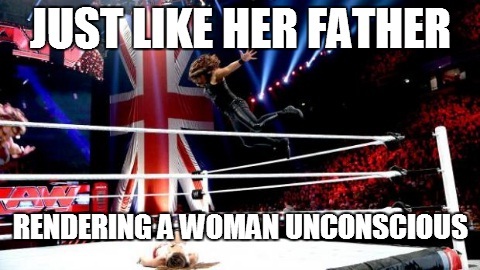 22 Responses to "The Meme Event: WWE Monday Night Raw 11/11/13"
Nearly did a spit-take on the Tamina Snuka one. As far as she’s concerned if she’s the Superfly’s child wouldn’t that make her the Supermaggot? Good god, this is atrocious. 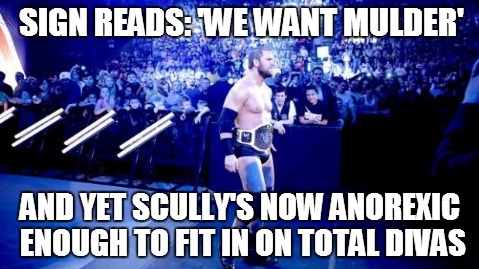 I mean, not only can *anyone* just take the WWE.com images of the show and put them through a meme generator site, but none of these are even funny. Agreed! Tamina one was amazing!!! 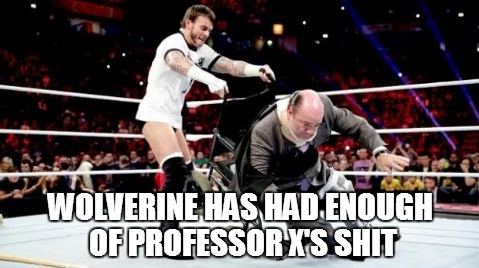 Also a big fan of CM Punkverine dumping Paulfessor X out of his wheelchair! I’m thinking they could just reorder the iPPV or order it on tape delay or something, but then again, that’s not my $15 or three hours being wasted. 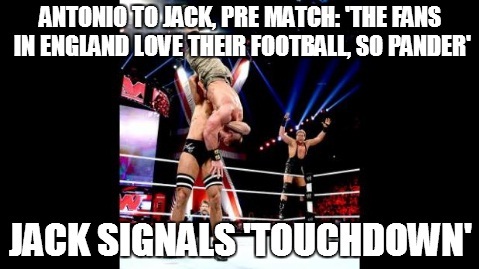 The Snuka one got the best, genuine laugh. 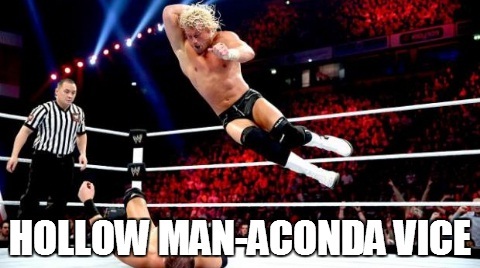 Don Flamenco dance and ROH viewing party tied for second. 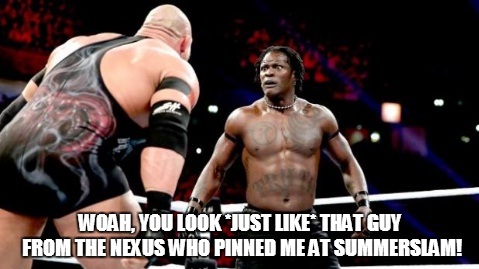 The Punk-Axel meme was ripe for a Spider-Man appearance. Also, the Big E skiing one. Back to back home runs with Punk-Paul & a Richard Gere furry love sign. 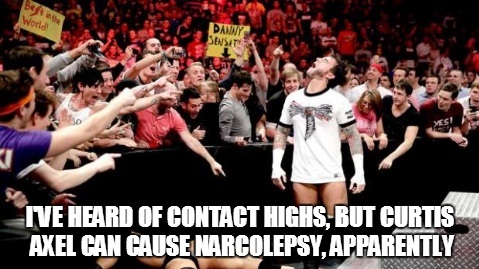 Great as always, and the bonus points for the Lebowski reference, man … and proud we are of all of them! The professor x one had me rollling. 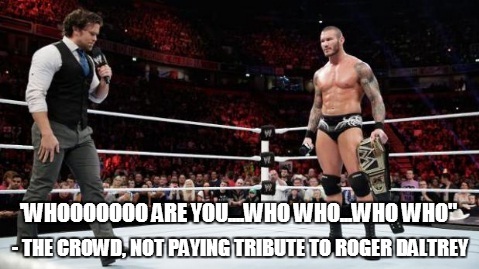 Meme all you want, but when Raw goes overseas it’s always been great. Hot crowds all around, and Maddox even got cheered when he came out. 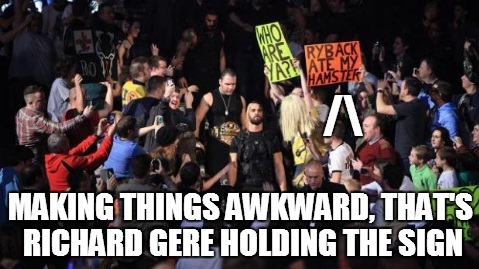 Seriously they cheered him and gave Vicki the “Who are ya!” chant instead. 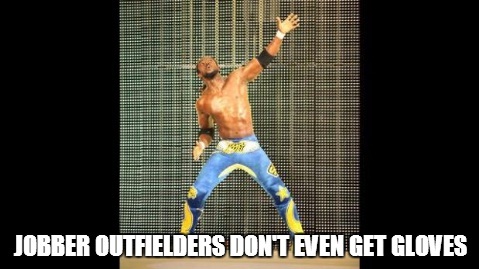 I can meme if I want to. I’ll meme your friends behind. Because your friends don’t meme, and if they don’t meme, than they’re no friends of mine. 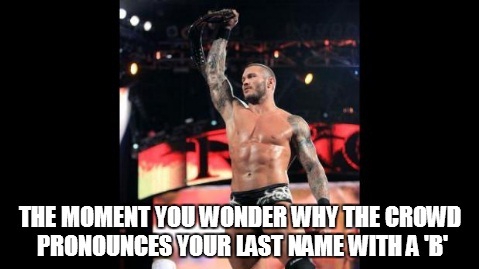 Brad Maddox can’t even go to the bathroom in South America. I may have posted that comment too soon (about 20 minutes into the show). 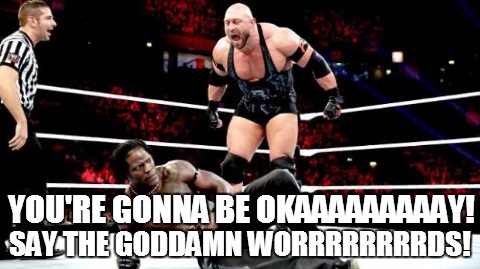 Man did the booking kill that crowd, silence during Ryback vs R-Truth all the way to Paul Heyman coming out. 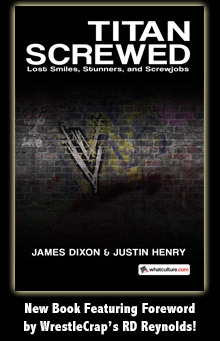 Although I was watching the 90 minute hulu version of Raw so I missed Tyson Kidd, who I’d actually like to see wrestle. 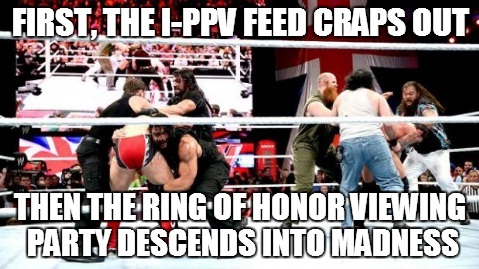 They won the crowd back when the Wyatts and Shield went at it, though. Most of Justin’s memes are funny! Some haven’t been in the past, but more often than not they’re hilarious. Dug the Borton & Axel ones, as well as the Hans Gruber/”Die Hard” reference, and the reference to “The Big Lebowski”. Great work this week Justin!